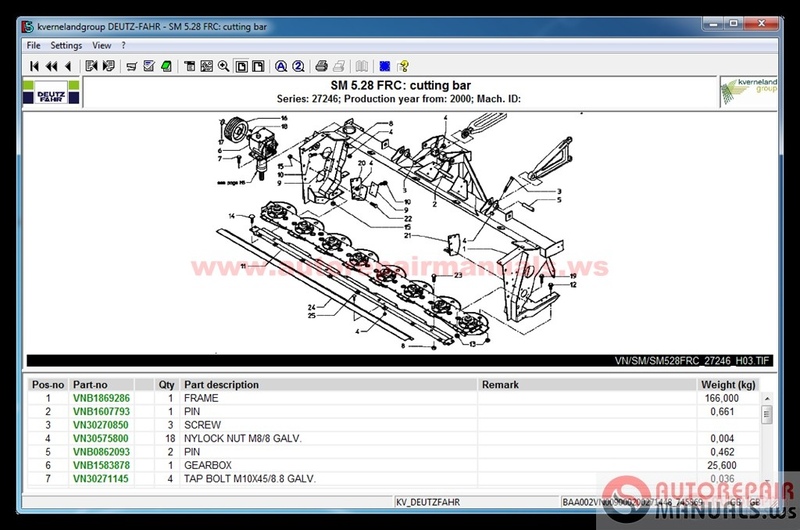 Discussion in 'Agricultural Manual,Software,EPC' started by garage, Mar 7, 2016. 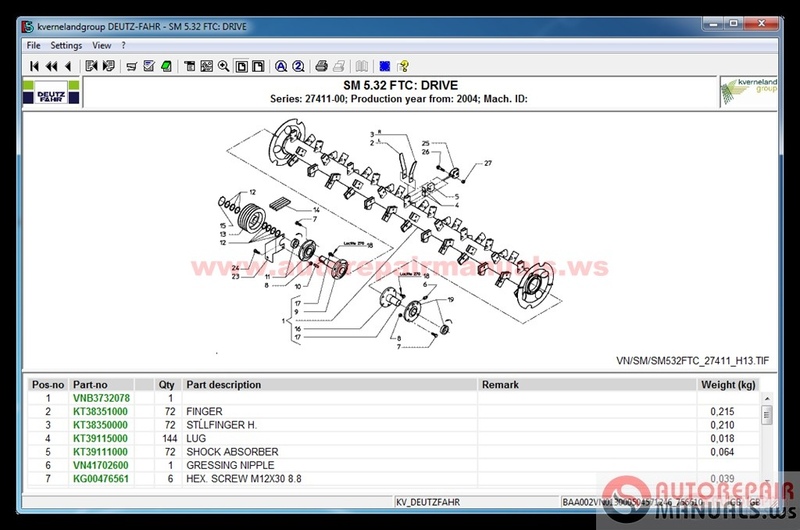 Type : Spare Parts Catalog for Deutz-Fahr Agricultural Machinery. 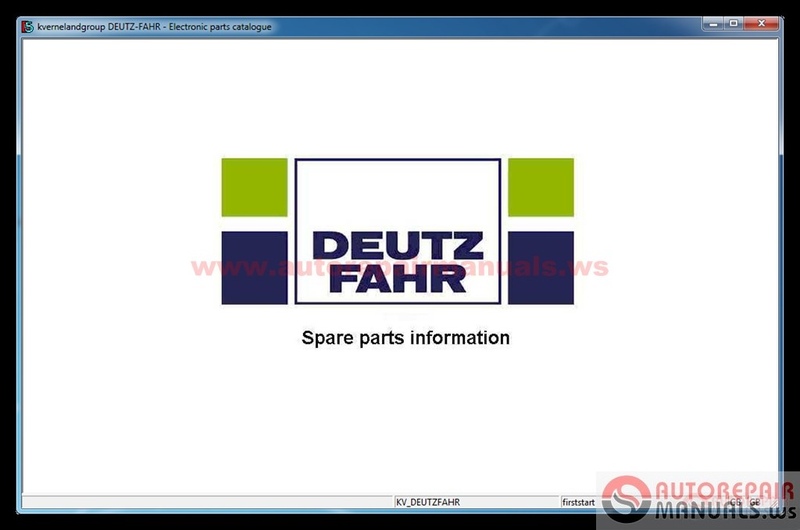 DEUTZ-FAHR - Spare parts catalog for agricultural machinery, movers, conditioners, rakes, tedders, balers, wrappers, wagons Deutz Fahr. DEUTZ AG is one of conducting independent manufacturers of diesel and gas engines, capacity from 4 up to 7.400 kw.